Set midway up the west coast of Lombok at the middle point of a series of sandy bays, Senggigi promises a lot but is mostly a bit of a dump that isn’t really worth a stay, save as a spot to break up your trip if you arrive too late to press on elsewhere. We would never choose to stay here if we could avoid it. If these were the only beaches in Lombok, perhaps we’d be kinder, but they’re not. 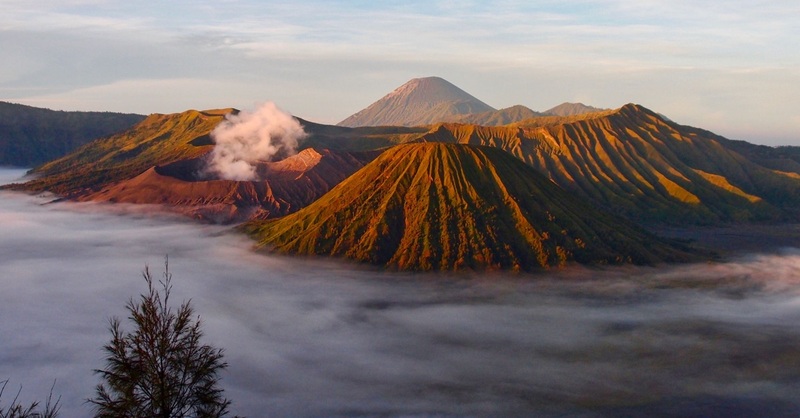 You’ll find vastly superior beaches to the north on Gili Trawangan, Gili Meno and Gili Air, to the south on the beaches surrounding Kuta, and simpler beaches, without the hassle, to the southwest on the island beaches that can be visited from Gili Gede and to the southeast on the beaches near Ekas. Now that Lombok’s airport is considerably closer to Kuta than it is to Senggigi, there’s even less of a reason to stop here. This beach be for lazing. Senggigi itself is at the centre of a half dozen or so sweeping bays and exposed beaches that run north to south along the west coast of Lombok. The town straddles the sometimes very busy north-south running road and is little more than a string of tourist focussed restaurants, hotels, guesthouses, travel agents and a never-ending stream of touts offering their services. We had one on a motorbike chasing us -- in our car -- trying to rent us a car. Even by Bali standards, the touts are in a class of their own. 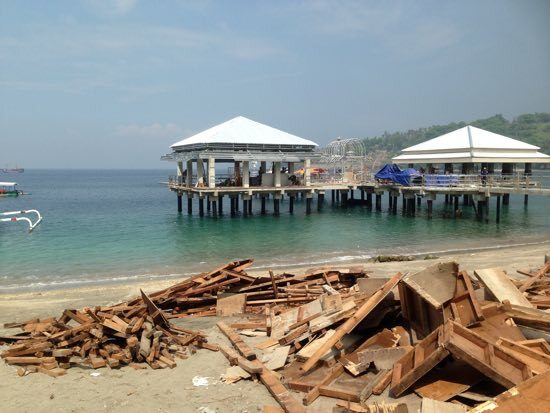 The central beach is also home to a pier that receives the fast boat services from Bali (enroute to and from the Gilis) and was a mess of construction and building material when we visited in December 2014. 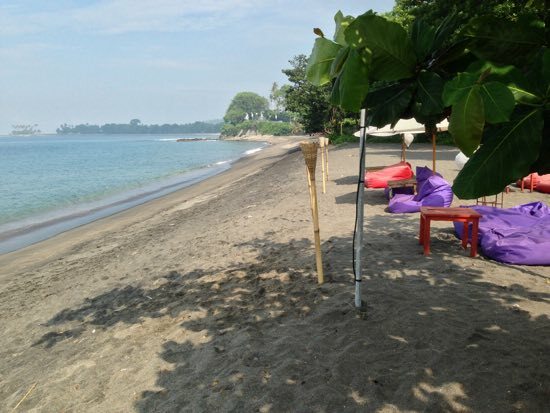 The sand, again in December 2014, was an off-grey and while clean in front of the larger resorts, in other places — especially in front of the Art Market at the heart of Senggigi — it was in an extremely mediocre state. Why central beaches that supposedly form a mainstay of Lombok’s tourism are not kept in a better state of cleanliness is beyond us. The scene is even worse on the headland viewpoints, where people just throw their waste over the railing, creating piles of unsightly rubbish at each point’s base. It’s not all bad news though. Senggigi does deliver at dusk, when the sun sets behind Nusa Penida and Bali in the distance, and there are plenty of beachside restaurants, along with the headlands that separate each beach and bay, from where to enjoy the moody vista. 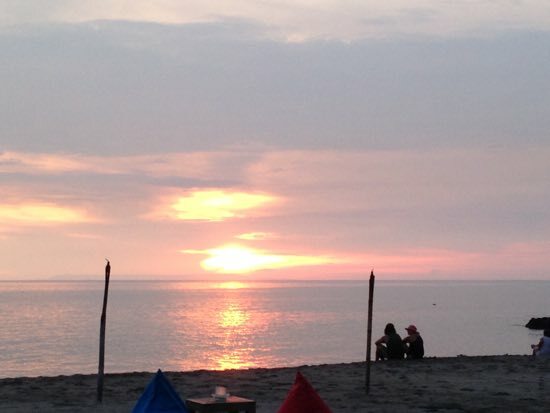 They do do the sunsets well in Senggigi. Away from the headlands and down on the sand, as with the beaches of southern Bali, touts can really detract from quiet time on the sand. Some beachside restaurants go to the extent of having page-long apologies explaining away the touts and vendors whom they keep out of the immediate restaurant area. The sand is mostly a sooty to grey grain and can get very hot underfoot. Friends who have visited Senggigi at other times of the year have said the beaches are a good deal whiter than when we were there in December. Senggigi enjoys a lot of domestic tourism, especially on a Sunday, when the beaches and headlands can be packed with locals and the road is busy with cars, bemos and with motorbikes. Sleepy Sunday sunset on the beach at Senggigi is not a done thing it seems and local tourism literature laments the direction Lombok Tourism is attempting to push the area toward. Bali is just a swim away. While we would not choose to have a prolonged stay in Senggigi, there are plenty of accommodation options in the centre of things, from affordable homestays through to quite reasonable fancy hotels. 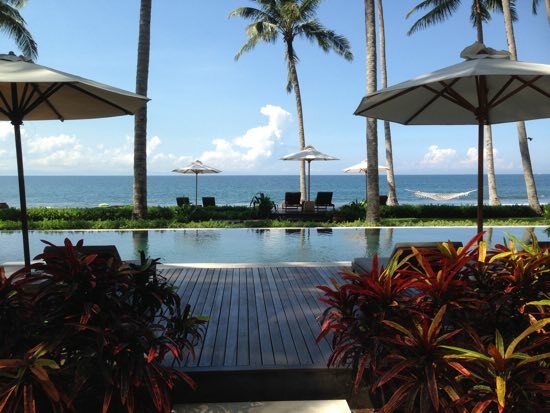 The true top end though is further north, around Mangsit, where you’ll find, among others, Quincy Villas and Jeeva Klui staking out some of the better stretches of beachside real estate. 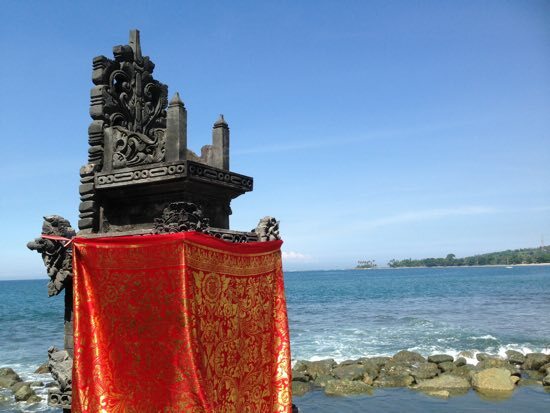 Further north again, over an hour north of Sengiggi proper, you’ll find Oberoi and Tugu by the Sire Peninsula. These are the flashest digs in the area. There are also plenty of places to eat, ranging from Western-focussed eateries to Indonesian outlets. A popular evening meal is some barbecued corn on the headland beside Pura Batu Bolong. Or sample the plentiful street fare — satay in particular — in the late afternoon near the Art Market area. Head out of town for the better beaches. Senggigi has plenty of international-access ATMs. The post office is towards the northern end of the central strip, almost opposite The Ozzie. A couple of small pharmacies are dotted around town but the closest real hospital is in Mataram — for serious accidents head to Bali for treatment. While the coastline and the beaches stretch all the way south to Mataram and north to Bangsal, for our purposes, we’re treating six areas as being a part of Senggigi: Batu Layar to the far south, followed by Batu Bolong, the double beach that forms Senggigi (oft referred to on maps as Senggigi Bay to the south and Senggigi Beach to the north), Kerandangan north again, then the more luxurious enclaves of Mangsit and Klui beaches. From central Senggigi, Batu Layar to the south and Mangsit and Klui to the north are not walking distance — even Batu Bolong and Kerandangan are a stretch, so you’ll either need your own transport or need the use of a driver (they’ll find you, don’t worry). The central beach is okay to get your feet wet, but for a quiet day on a secluded beach, one of the further afield beaches are a far better bet. 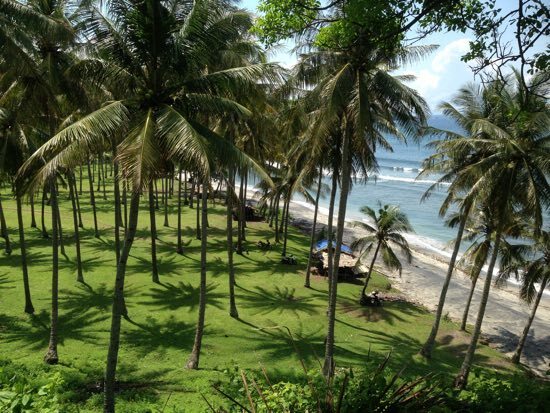 Browse our independent reviews of places to stay in and around Senggigi. Planning on riding a scooter in Senggigi? Please read this. 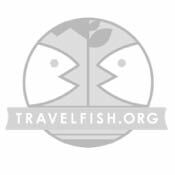 Use the above map to find specific destinations in and around Senggigi which are listed on Travelfish. Bed icons indicate a guesthouse, hostel or hotel, the knife and fork is an eatery or bar and the four-way circular thingy marks sights, attractions and other points of interest. Click on any icon for a short pop-up and a direct link to the page for that spot. If you are in the area, use the teardrop icon near the top left to show your position on the map (you'll need to allow position sharing for this last feature to work).